Come celebrate the opening of our new MWMO Stormwater Park and Learning Center! Join us in celebrating the completion of our new Stormwater Park and Learning Center in Northeast Minneapolis. 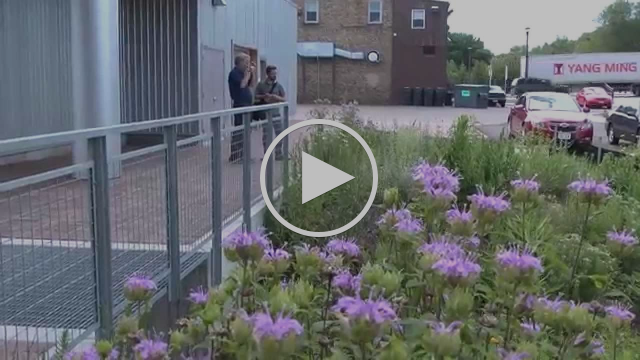 Take a walk through a transformed landscape that saves, reuses and cleans stormwater. Then, tour our community facility featuring interactive displays and exhibits. Saturday, Sept. 19, 2015, from 10 a.m. to 1 p.m.
Visit our Eventbrite page or website for more details. Come see your new backyard on the Mississippi River! Copyright © 2015 Mississippi Watershed Management Organization, All rights reserved. Previous Post Truck Extravaganza Saturday, August 8th – Thank You! !